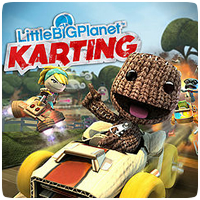 United Front Games are putting the final touches on LittleBigPlanet Karting for the PS3 as it approaches its November release date. Jen Timms, producer on the game, has hinted that the game may end up on more platforms, including the PS Vita, but “nothing set in stone yet”. “You know, it’s a logical place for it to end up,” said Timms when asked about a PS Vita version for the game. “We’re still so focused on finishing the PS3 version and making that the best it can possibly be,” she added. The team will be focused on DLC once the game launches, but hopefully a PS Vita version gets into development soon (it its not already secretly in development).